Yes, Batman got stopped by the cops in my old homebase, Montgomery County, Maryland. Apparently he took his Batmobile out for a spin without a proper rear license plate and tags, having a Batman symbol plate instead. He was let off with a warning. (Just because you’re a vigilante superhero doesn’t mean you are above the traffic laws.) In this particular case, the Dark Knight was Batman impersonator Lenny B. Robinson, on his way to visit some kids in the hospital in his black Lamborghini convertible turned Batmobile. You can just imagine the call in to the police station by the cops on highway patrol: “We’ve got Batman in the Batmobile and he doesn’t have any rear tags. Can we stop him please, please, please? And somebody bring a camera.” Yep, that’s right. The photo above and others, including of officers posing with Batman, were taken by the Montgomery County cops and put up on their station Facebook page. And that’s how Batman avoids a ticket, boys and girls. New Zealand author Lowe serves up a secondary world, multiverse tale of alien guardians against demonic monsters. When the guardians are overrun due to treachery, one young woman has to navigate a complicated land of rival clans and discover the secrets of her people to knit worlds back together. Multiverses and portal structures are coming back to secondary world fantasy with larger frequency in a number of ways, and this series combines a traditional hold against the dark idea with a wider universe that sounds a bit reminiscent of Robert Silverberg’s Lord Valentine’s Castle and is being compared to Barbara Hambly’s Darwarth trilogy. Science fiction author Buckell offers a highly relevant near future, hard SF environmental thriller. With global warming in full swing, changing the Artic landscape and global politics drastically, an Earth-saving solar invention that could be the deadliest weapon ever collides with an international investigation into a stolen nuclear missile. 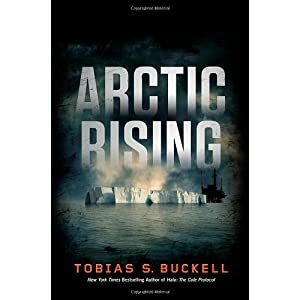 Environmental crises have obviously become a subject of fascination to SF authors this last decade, and this looks to be a doozy in Nebula nominee Buckell’s very capable hands. 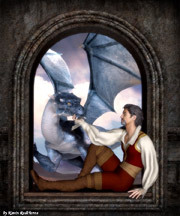 Real world events are increasingly points on which contemporary fantasy mysteries are being hung, not unlike their non-SFF counterparts, and these are two in that mold that sound interesting. 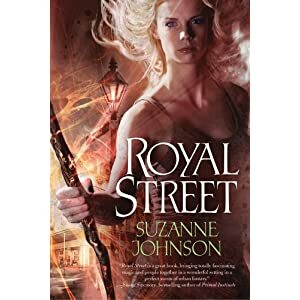 Johnson’s urban fantasy thriller posits an Earth in which wizards guard places from supernatural incursions and problems, a favorite of fantasy stories. An apprentice wizard in New Orleans hasn’t much to do, until Hurricane Katrina hits the city, ripping the boundaries between worlds, and her mentor, the city’s chief guardian, disappears. Magazine writer Johnson is a long time New Orleans resident who helped in the rebuilding efforts, so this is a debut fantasy novel liable to ring true for a lot of people. Deborah Coates also debuts with a ghost story about a sergeant stationed in Afghanistan who returns home on compassionate leave to be greeted by her sister’s ghost, a suicide the woman then believes is really a murder. An investigation turns up more ghosts, sabotage, and an enemy possibly controlling an ancient power. Coates is well known for her short fiction, so this look at the fall out from the war mixed with a ghostly mystery could be interesting. Retired music industry exec Love debuts with a funky military SF tale of battling spaceships. In a far future where humans have spread out among the stars, a giant alien ship nicknamed Faith once came and destroyed an empire. Many years later, Faith has returned and the Commonwealth that has risen in the empire’s place is determined not to bear the same fate. A fleet of ships, built in secret, totally without law, and run by crews of convicts and psychopaths whose special talents fit the mission, begin a battle that will change human understanding of the universe they inhabit, particularly for the crew of one of the ships, the — wait for it — Charles Manson. Yes, he went there. The thriller definitely is drifting into Peter Watts territory with its themes and ideas and so I’m kind of intrigued. It’s definitely not your usual space opera battle saga. Soooooo…The Hunger Games movie made over $152 million in its opening weekend domestically, has earned over $220 million globally so far, and smashed or ranked high on several box office records. I saw the movie. They made some minor changes from the book, not all of which I agreed with, but overall delivered on the story and info needed for the overall story of the series with skill. The use of herky-jerky camera work, with split screen images, etc., for parts of the film didn’t always work ideally, especially at the beginning, during the non-high-action Reaping sequence. It was visually interesting but too distracting at times. It worked best for presenting flashback fragments. (They tone it down for later parts of the film.) The very beginning was also a bit awkward, using text background info that then was unnecessary because they went to a talk show host gambit that gave you that info anyway — it was probably a bit confusing if you didn’t read the book. I chalk it up to that unnecessary nervousness that “regular” people will have trouble following a post-apoc dystopia, even though they’ve been fed post-apoc dystopia films for decades. The actors were ideal. (And extra huzza to Elizabeth Banks for running with the film’s best lines.) The emotional punch of the story was not subtly done, but was not overwrought either. They were helped by just being able to use Collins’ dialogue from the book a lot of the time. The main scenes were sharp with great use of facial expressions and set details and terrific use of color and lighting. The kid who played Cato was perfect and when he does his speech at the end, which twists the whole thing, it summed up the story nicely. The pacing was fast but not non-stop and the action was good and consequence filled (although again occasionally impaired by the herky jerky camera action style but that’s pretty much required these days.) The parts added to the movie, outside of Katniss’ pov, worked pretty well overall — watching Donald Sutherland do President Snow was nearly worth the whole ticket price. Thoroughly enjoyed it and recommend if you’re inclined to weep at films (as I am,) bring tissues. The second movie, Catching Fire, should, well, catch fire, I suspect. If Kristin Stewart’s Snow White and the Huntsman also does well this summer, it’s going to up-end Hollywood on its little head for a bit. Erosion is a wonderful thing, especially when it floods. They’ll dismiss it as simply teenage girl obsessions, but the damage has been done. My day was good. How was yours? Somehow, I find this comforting. “In Panem, “Hunger Games” author Suzanne Collins’ nightmarish future version of America, it’s as if the first season of “Survivor” or “American Idol” is on the air year after year, with real killings, no competition and ratings that never go down. Of course, in the books by Suzanne Collins and therefore in the fairly faithful film, it is completely clear why the society is structured the way it is and why they have the games. It is not non-existent or “scanty.” It is, in fact, the point of the whole story. After losing a rebellion against the ruling government in a post-apocalypse future, the districts are kept in a state of abject poverty and non-modern technology ghettos by military force, starvation, imprisonment, random killings and other methods to control them and keep them from rebelling again, while providing resources to the wealthy of the Capitol. The most stunning of those methods is to take some of their children away each year, as if to a concentration camp, except the technologically advanced Capitol gets to then watch the children of the people they keep in the mud kill each other and make the people watch it too. This is a propaganda and totalitarian terror technique, unfortunately, that numerous societies have used before in history, including modern history. While Collins’ version of it is somewhat simplistic in execution for the needs of the story, it is neither absent nor illogical. What is absent, which seems to be what O’Hehir is insisting is vitally important, is a lengthy historical lesson of what happened between our current day and the society in the novel — the exact apocalyptic events that would allow a Capital to develop and which have little to do with the story at all, much less warrant an intrusion in a two hour film. The fact that the people in the society don’t necessarily know exactly what happened in that past, that the ruling Capital would repress any accurate information about such a past even if facts are known and that things like blue jeans or spats do in fact often disappear from the landscape over decades seems not to have been clear to him. Mr. O’Hehir apparently also has never heard of current cities like Rio or Mumbai, where teeming shanty slums with no running water, electricity or doors really and built on landfills of garbage live side by side with glorious high-rises decorated in gold gilt. He is apparently unfamiliar with the nature of the gladiator games in the Roman Empire, on which Collins based much of her game ideas. Nor does he seem aware of more current events in some places like people’s heads being used as soccer balls while stadium audiences are forced to watch and cheer. And so he’s terribly confused that the people in District 12 in the story, who are kept imprisoned by an electric fence, don’t have video games in their homes. He wants a detailed explanation of why they are kept in Third World poverty beyond the fact that it’s a totalitarian society and there are men with guns, spy drones and genetically engineered monsters to enforce it and if he doesn’t get one, then the world of the story is “stupid” and of no relevance to the world we inhabit. Or what is more likely is that he found the prospect of the movie tedious and decided to dismiss it as a poorly put together war movie for teenage girls. Either way, O’Hehir gets a well and fairly earned Mad Hatter Award. It will be difficult for other critics to top that sort of nattering.